On this date in 2007, I published a post called “Just a placeholder,” which said, “I’m going to start this blog soon but right now I’m busy redesigning my regular website.” Two days later, Britney Spears stole one of my rings. That simply had to be blogged and suddenly I was off and running. I started this blog to promote my fine jewelry line. I envisioned making my high-end, limited-edition jewelry accessible to a lot of people. I knew that not all of my readers would be able to afford my work because of the costly materials and U.S.-based labor I use to create wearable art. (For more about the cost of manufacturing, read this 2010 post.) But I didn’t think that should stop people from being involved with me and my jewelry in some other way, whether that meant reading about my inspirations, showing me their takes on the latest fashion trends or imitating my one and only outfit pose. I was influenced by my clothing designer friend Zang Toi, who is wonderful to customers of all ages, shapes and sizes. That has always seemed so stylish to me. It also expresses his confidence that he can create something to make anyone feel beautiful. What’s passé is the kind of designer who looks down his or her nose at the customers, let alone the people who can’t afford the goods. Trust me, I’ve dealt with those types. When I heard one privately badmouth a customer’s appearance, I asked, “What? Her money isn’t green enough for you?” I mean, really! Appreciate the people who appreciate you. It is chic to be nice! 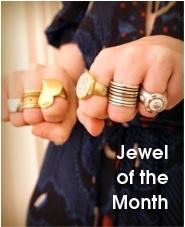 I love all my customers, and I love all you blog readers — whether you’ve bought jewelry or not. Thanks for visiting me here. YAY! Happy 4th year blog anniversary! Here’s to many more dear Wendy! Happy blog-iversary! Looking forward to many more! PS Britney Spears stole my rings would be an excellent name for a band. Happy Anniversary for a great blog. By the way Richard III is at BAM’s Harvey Theater in New York in January 2012. Whoa, thanks for the alert! I have to see it! Happy Blogiversary!! Can’t believe I’ve only newly discovered your blog! Hope to get many more years of reading it. Happy Blogversary! I love your blog and though I can’t remember when I found it, I am sure glad I did. I think of the big mistakes made by designers and manufacturers make is to pick a “muse” or envision the women they want wearing their clothes, etc. and to not want to sell to anyone who doesn’t fit that mold. Even worse are shop staff who look you over and then ignore you, in my case, because I’m heavier than average. Taste doesn’t die when you pass 150 pounds. Or 100 pounds it seems from some designers. Not every woman is a supermodel or even close, but some have the means to buy luxury goods. You, Zang, and Stacy have all worked with me to make clothes and Jewelry (sometimes I need an 18″ chain) and for that, I will always be a very loyal customer. And we love you too Wendy!! Happy anniversary! I so appreciate your approach – you show sincere interest in all your followers, not just the ones who can readily purchase your designs. Oh, and you have the best anti-spam words in the blogosphere. Congratulations! Happy Blogaversary! I’ve really enjoyed reading, but especially meeting you. Wow! 2 Anniversaries back to back 🙂 Congrats! Congrats on the anniversary. I thank the blog-gods that you somehow came across mine so that I could reciprocate by finding yours. What a treat it is to experience so very much with you, WendyB, lots of which I find highly entertaining, enlightening, challenging–thanks! Come on out to Portland on a Friday night–we’ll dine at 3 Doors Down Cafe! Joyeux 4ème blogiversaire Wendy ! May you enjoy 4 more, and then 4 more after that! Brava! Happy 4 year blogiversary! I just discovered your lovely blog myself and I am so happy I did. I can’t wait to check out your designs, and of course, look back in the archives for more about this Britney story. Dying. “It’s chic to be nice.” Now *those* are words to live by, dear Wendy! Happy Blogversary! Because of this blog I found you and your lovely jewellery, not to mention many other lovely people! I’m happy you did start blogging — even if a theft was the way to get you started! Happy 4th! Your approach to blogging is so refreshing…and I appreciate the attitude towards green. I heart you and all your designs, too. Congrats, and Lord knows how grateful I am to elle.com for bringing me to you. Many, many more years to come with many, many more interesting, intellectual and entertaining content! No one can beat that Britney Spears story so far, lol. It’s not what’s covered, it’s how it was covered. Happy Fourth Blogversary Wendy! 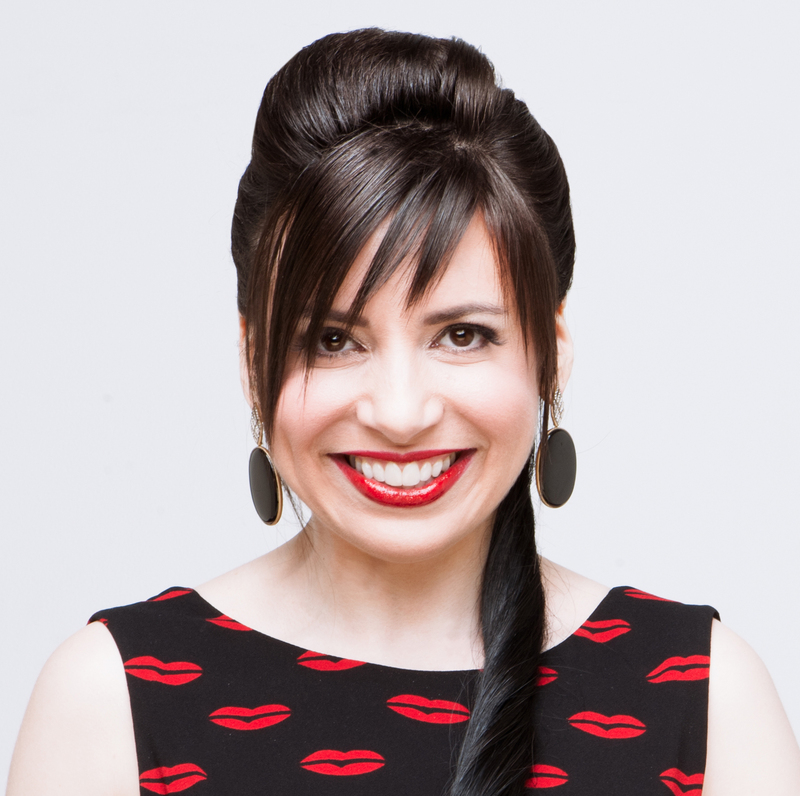 I love your jewelry designs, your brilliant energy, your intellect, your sense of humor, your support of other bloggers, your style, your advocacy of diversity, your remarkable writing; I could go on! And many more! Ooooh, I missed this one somehow! Congrats Wendy! 4… holy crap. Thank you for a being a blogging inspiration and for creating beautiful pieces for us to drool over! 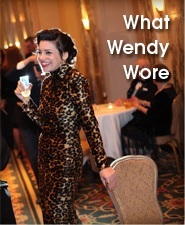 Much blog-love and cheer to you, Wendy! I adore your blog and your sass – you are an inspiration! Congrats Wendy! I agree with you that kindness is always chic. I love your witty and intelligent take on such a wide range of subjects, so I’m glad you’re going strong after four years. Here’s to another four, and many more after that! “It’s chic to be nice.” Wendy, I love that. So simple and so true. I can’t believe Britney stole your ring!! So ironic how sometimes people who can easily afford something feel they’re entitled to take it for nothing! I hope OK mag did make good and you got compensated.